Description Chrismas is coming to town, and Santa gotta be all prepared. Everything is up, and the Santa go for a nap. As he awake, he find that he is falling to a bottomless valley. Please help him to safety, or nobody have any present this year. 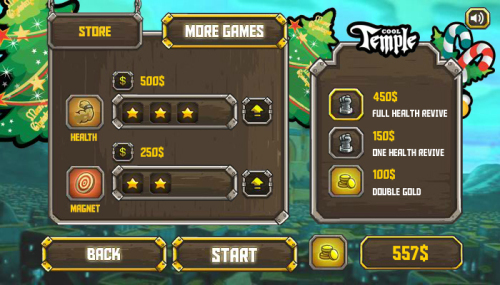 Collect coin for upgrades and items, avoid the spiky panels and the bombs. There're yetis around so be caution.